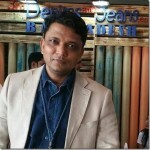 In this report , we are bringing information on important buyers of denim fabrics from India . Bangladesh is a big market and most of the countries ship their fabrics to this country. Hence , it is always interesting to see what is happening here and how the sellers and buyers are interacting . 1. Table Showing the list of Top 10 Buyers of Fabrics from Bangladesh along with the Avg price for the period of Mar’17- May’17. 2. Graph Showing the list of Top 10 Buyers of Fabrics from Bangladesh for the period of Mar’17-May’17. 3. Graph Showing the Average price (USD/YARDS) OF Top 10 Fabrics Buyers for the period of Mar’17- May’17. 4. Pie chart Showing the % Share of Top 10 Buyers of Fabrics for the period of Mar’17- May’17. 5. 10 Table Showing the list of Suppliers of Fabrics along with Avg price to Top 10 Buyers of Bangladesh for Mar’17-May’17. 6. 10 Graph Showing the list of Suppliers to the Top 10 Buyers for the period of Mar’17-May’17. 7. 10 Graph Showing the Average price of Suppliers to the Top 10 Buyers for the period of Mar’17- May’17. List of Top 10 Buyers of Fabrics from Bangladesh.